Anita Anand took over the chair of Any Answers? after long standing host Jonathan Dimbleby stepped down in June 2012. She also presents the BBC Radio 5 live programme Double Take with Sam Walker on Sunday mornings. On television, Anita presented The Daily Politics with Andrew Neil on BBC Two until 2011. She also presented Have Your Say on the BBC World Service. Until 2010, Anita co-presented the award winning Drive Programme with Peter Allen on BBC Radio 5 Live, and before that her own popular late-night programme on the network, The Anita Anand Show. On BBC Radio 4. Anita has presented Midweek, Saturday Live, The Westminster Hour and Beyond Westminster. 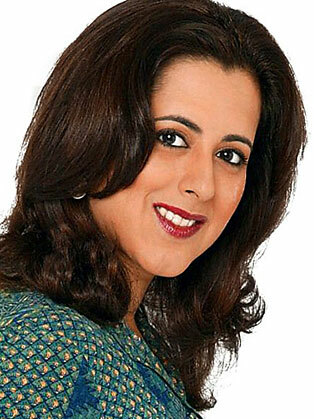 Before joining the BBC, Anita was the European Head of News and Current Affairs for Zee TV - an international satellite and cable television station. She was one of the youngest TV news editors in the country, taking over the reins at the age of just 25. During her career Anita has interviewed: four presidents from South Asia, eight prime ministers from the sub-continent, and three British prime ministers. She has also written for a variety of publications, including The Independent, The Guardian, The Asian Age Newspaper and India Today magazine. She is currently in the middle of writing the biography of Sophia Duleep Singh, an Indian princess, godchild to Queen Victoria and leading suffragette.